Collections for Mitzvah Day have already begun and collection bins are located in the lobby. Travel size shampoo, conditioner, toothbrushes, toothpaste, combs, brushes, deodorant, etc. New back packs, pens, pencils, markers, crayons, paper, notebooks, pencils cases, glue sticks, etc. All sizes. No holes or stains, please. Chap stick, sugar-free sucking candy, mints, snack bags of pretzels and veggie chips, activities such as card games, puzzles, coloring books with crayons and small hand-held games. 360 meals. $100 will buy 500 meals. Checks can be made payable to Temple Shalom. Please write “Meals of Hope” in the memo line. 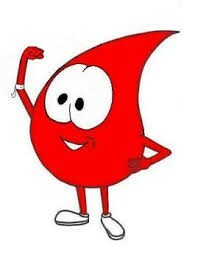 Don’t forget to sign up to give blood at the Bloodmobile located in the Temple parking lot on Mitzvah Day.